We all know the difference between males and our species, females, in all aspects. Be it psychological, mental, biological make-up and of course the most obvious - physical. One of the many physical differences is our reproductive organs (a bird is different from the flower - as how we teach our kids about these body parts), the appearance of women's breasts (of course ours are larger and serves a lot of purpose) and lastly hair growth and its aesthetics. While some guys look really hot with a mustache and a beard or look really macho with chest hairs (but not too much) and hairy legs, for women, looking HOT with these hair appearances is a big NO, in fact could be a turn-off and sometimes not hygienic. That's why waxing and threading salons sprouted all over the metro to attend to these hair removal musts. I personally have my eyebrows threaded to make sure they look well-groomed, my underarms waxed once every two months and I've tried Brazilian twice pa lang (looking forward to more - when I am more brave enough.) Why? Because apart from it makes me look better with groomed brows, I feel clean and even feel more confident with waxed underarms. Hindi ako mahihiyang mag-sleeveless top or hail a cab diba? Reception Area with Ate Alma,. the super galing therapist. They use MISA and OPI nail lacquers. This is Ate Alma. 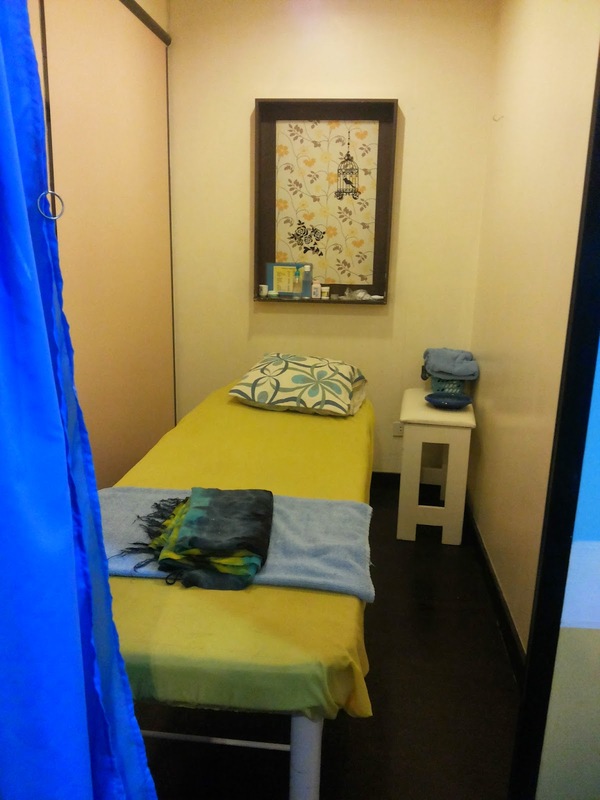 She's one of the best therapists I've encountered in my waxing/threading years. Their cozy hand and foot corner for more mani-pedicures and foot spas. 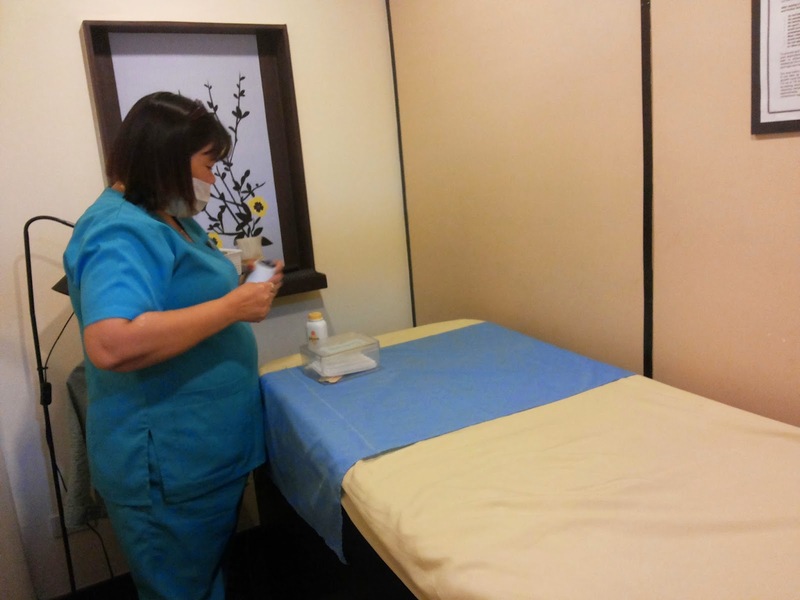 I've tried waxing and threading in another salon using cold wax. Cold wax is a procedure which removes your unwanted hair using a hardened and sticky wax. They say, unlike warm waxes, cold wax could be more painful. 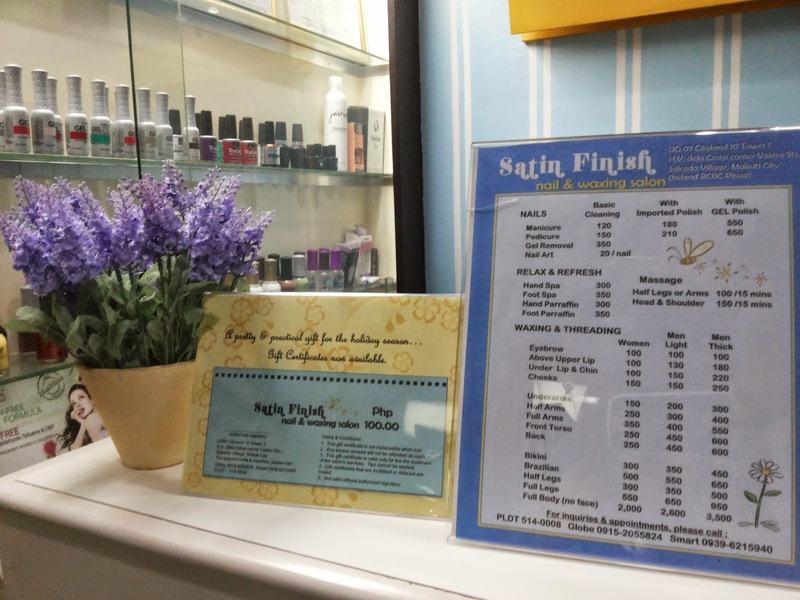 At Satin Finish Nail & Waxing Salon, they use warm wax. Cold wax is available upon the request of the client. Personally, I find warm wax more relaxing. I've had Underarm Waxing and also tried Brazilian Waxing with them. Did you know that if you regularly wax your underarm hair, it slows down hair growth? I also noticed that when it regrows, the hair is thinner. Because of that, now I have my underarms waxed once every two to even three months! I now prefer and highly recommend waxing rather than plucking or worse, shaving your underarm, to remove those unwanted hair. With waxing's lesser interaction with the skin, it's expected that it could result to a lighter and smoother skin, almost no chicken skin at all. Now let me talk about eyebrow threading and shaping. 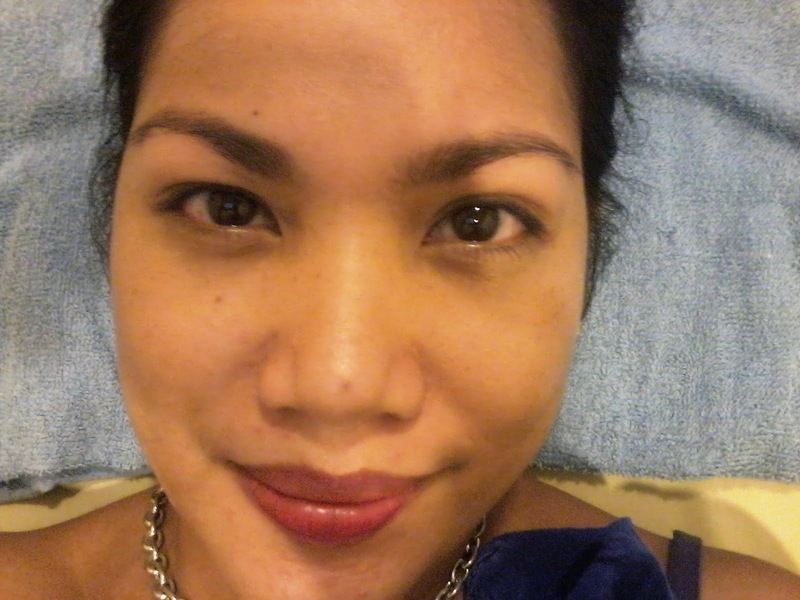 Since I am having my brows grow thicker, to make one's face look younger and apart from it being the latest beauty trend now, I rarely have them threaded. But when they are all bushy and going to different directions, I have them done. Perfectly looking and neat eyebrows could definitely define one's face. So it's important to let a professional do it for you. 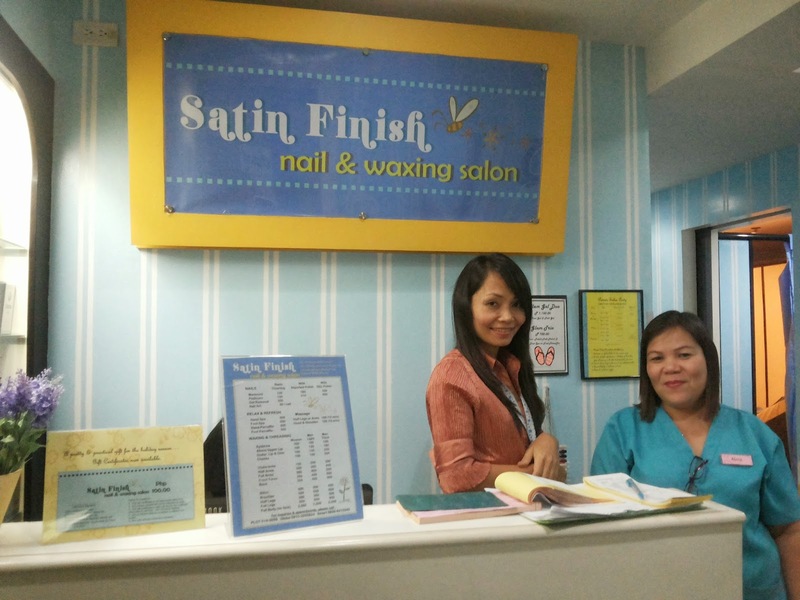 I found my angel in Satin Finish Salon, her name is Ate Alma. She threads with a breeze, cracks some jokes, makes her clients feel comfortable with her right away and gives you a warm service. Could you see the difference between my right and left brows? One was already groomed and shaped, the other was still a mess. 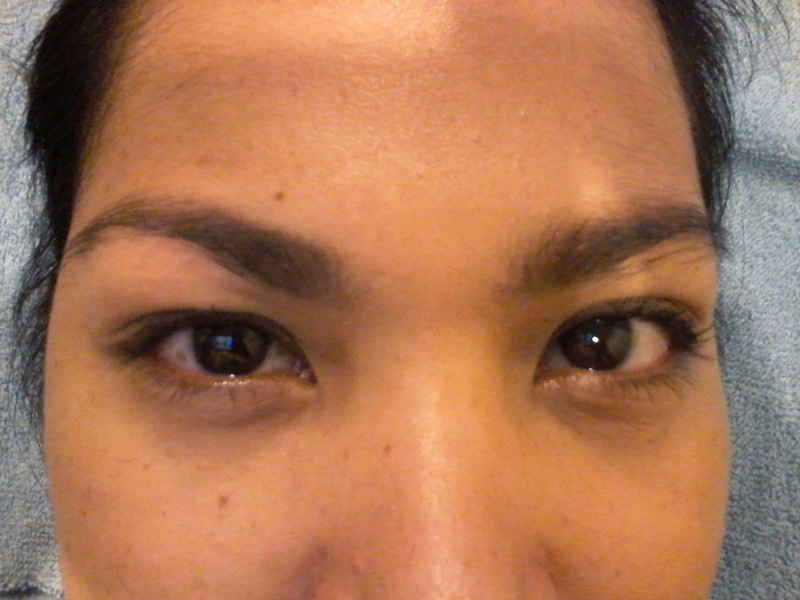 I let Satin Finish Salon take care of the eyebrows for me. Ta-dah! Groomed and shaped (but still a bit thick) eyebrows! Just the way I wanted it. 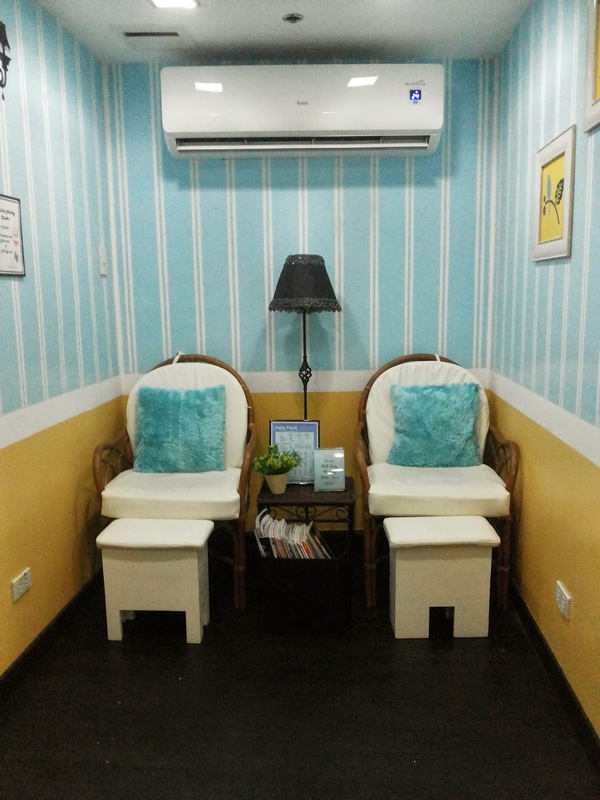 Underarm Waxing: P150.00; Eyebrow Threading: P100.00 and Brazilian: P500.00 ONLY! By the way, I recently found out that they are also open to reservations for intimate SPArties. They have attractive and reasonable packages too! 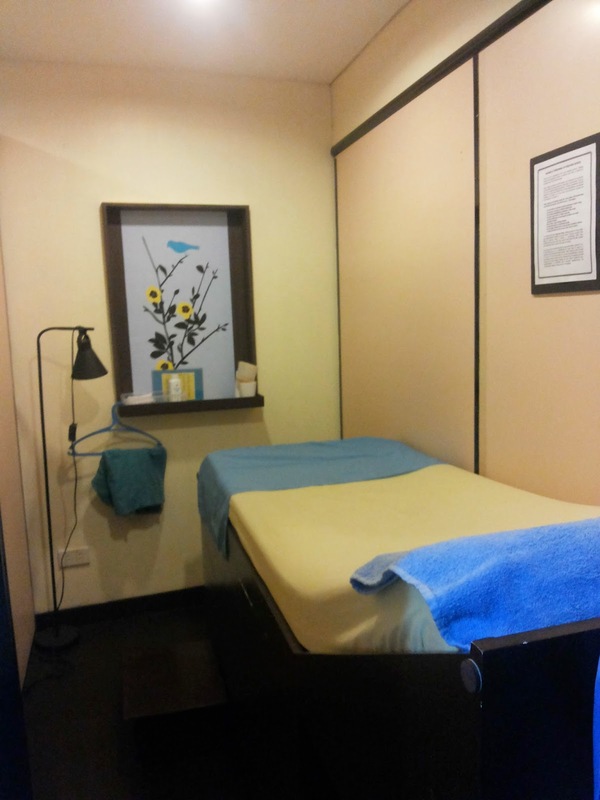 Operating Hours: Mon-Fri 11:00am to 9:00pm and on Saturdays 10:00am to 7:00pm. For updates and other promos, visit their Facebook Page or call them at (02) 5140008. Disclosure: There's noting to disclose. I paid for all my services in full. 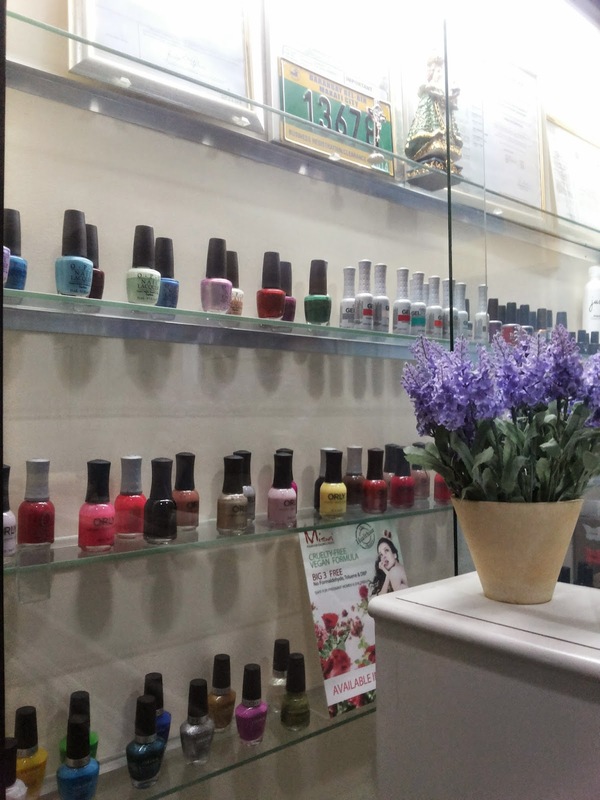 I am not affiliated with Satin Finish Nail & Waxing Salon nor with its owners. Honest reviews or opinions stated are all mine.